YouTube’s infamous ranking algorithm heavily depends on audience feedback. 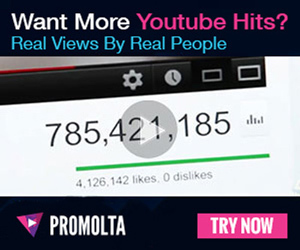 It considers several important factors, such as which videos viewers are watching and how long they’re watching them, when deciding which videos to promote to which users. Therefore, audience feedback can do more for you than show you what your viewers thought of a new video. Not only will more feedback increase your viewer engagement, but it can also help you reach more viewers organically. Don’t forget to include a call-to-action in every video. Likes and comments tell YouTube’s algorithm how viewers felt about your video. The more likes and comments you can get, the better. So, in the end of every video, be sure to include a call-to-action. In your call-to-action, find a creative way to remind viewers to like, comment, and subscribe. You may set a like goal or ask them to comment something specific, for example. Make your viewers’ favorite videos longer. Watch time also shows the algorithm how much viewers enjoyed your video. It accounts for how long viewers spent watching your video as well as the number of people who watched it. Therefore, longer videos will perform better. However, a longer video won’t go over well with your viewers if they get bored halfway through. Instead of extending all of your videos, find the series or kind of videos your audience likes the most. Then, make videos like those longer than average. Shane Dawson is well-known for his conspiracy theory videos. So, he made the latest installment almost two hours long! It got millions of views and trended quickly. Share your video links directly on social video. When a viewer accesses YouTube directly through your channel, it’s called a session start. This shows YouTube that viewers like your channel so much that it’s the first place they go. To get more session starts, share your video links directly on social media. Put them in tweets, Instagram captions, and Facebook posts. Encourage your followers to click those links to watch your videos instead of going to their subscription boxes. To keep your viewers on your channel, put related video links in the descriptions of new videos. You can also link playlists and other recently posted videos. Find inspiration in your viewers’ other favorite content creators. One of YouTube’s most important sources of audience feedback is the “not interested” button users can click on recommendations. If a potential viewer sees your video as a recommendation, then they will either click on your video or tell YouTube they’re not interested. To get more clicks than “not interested” hits, try to figure out what kind of viewers may get your videos recommended to them. Scroll through your comments, social media, and fan accounts to see what other YouTubers your audience likes. People who are subscribed to those channels probably see your videos as recommendations. To attract these new potential viewers, find inspiration in creators they already love. For example, you may take a challenge started by a popular vlogger in your niche or make a video inspired by one of your friends’ channels. Audience feedback helps your videos reach new viewers who are going to love your content. Steer that feedback in your favor with a call-to-action and increased watch time.